This tunic was made with the idea of wearing over a full or half sleeves t-shirt. It has lining. Yoke fabric colour in handloom cotton, was similar to the pattern colour on the tunic. I had some’ idea drought ‘ while designing for this tunic. Pattern-near the neck, I decided to use the striped pattern on the fabric. 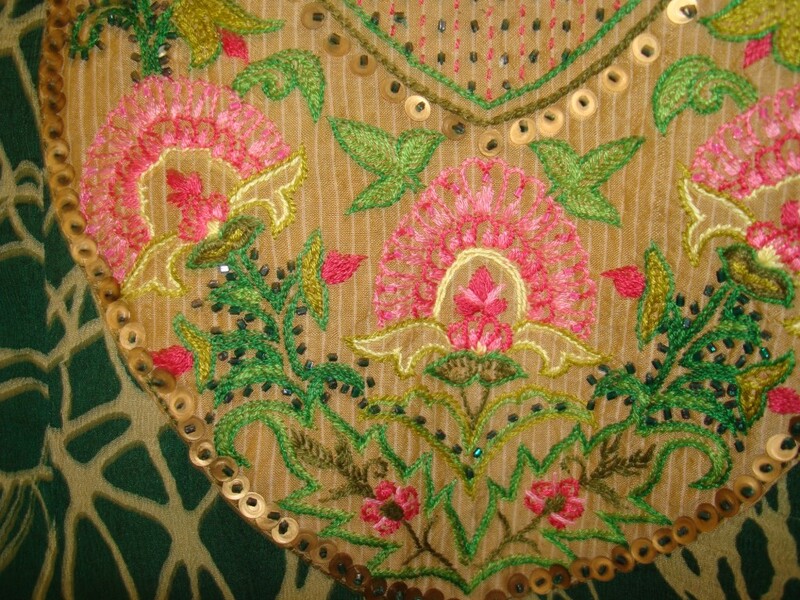 A ordinary floral design pattern was chosen for the rest of the yoke. Embroidery- Various stitches used- stem, chain, straight, satin, fly variation. Some green glass beads and antique sequins were also added. 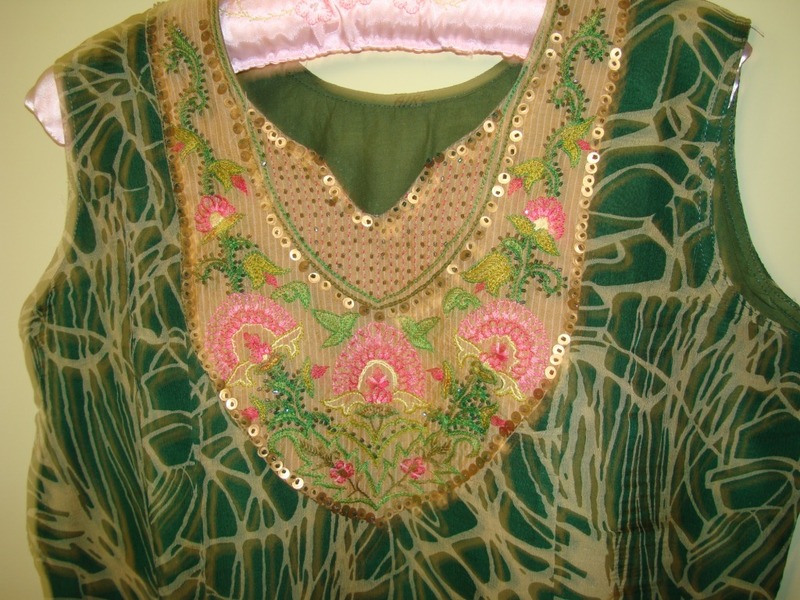 Threads- two, three shades of green and pink were used. This tunic always reminds me of the idea drought, I had while I started on this project. Used a fabric with silk sheen. Chosen very different colours of thread.